Cyclone Idai, an intense tropical cyclone, is being called one of the worst recorded disasters in the Southern Hemisphere. The powerful storm first made landfall over Mozambique on March 14, 2019. While it weakened it lingered over Mozambique, Zimbabwe, Malawi, South Africa, and Madagascar, resulting in devastating flooding. 2.6 million people have been directly affected by Cyclone Idai. 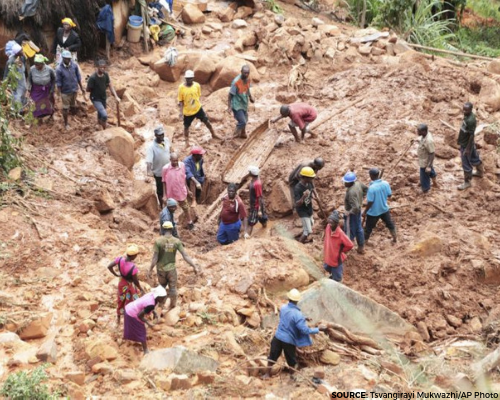 More than 600 people have been reported dead, and that number continues to rise as rescue workers continue to dig through the mud and rubble left in the wake of the storm. Officials suggest that as many as 1,000 people may have been killed in this storm, and are warning people living in the affected areas to be vigilant as dangerous flooding may continue. Individuals living in areas affected by Cyclone Idai are in desperate need of food and clean water, shelter, and medical care. Many have had their homes destroyed and lack access to shelter and power. Aid and rescue workers are working quickly to reach these people with the necessary supplies. Please consider supporting one of these highly-rated charities to bring much-needed aid and relief to this region. All of the organizations featured in this list have received one of Charity Navigator’s highest ratings and have confirmed they are working on the ground to support recovery efforts.